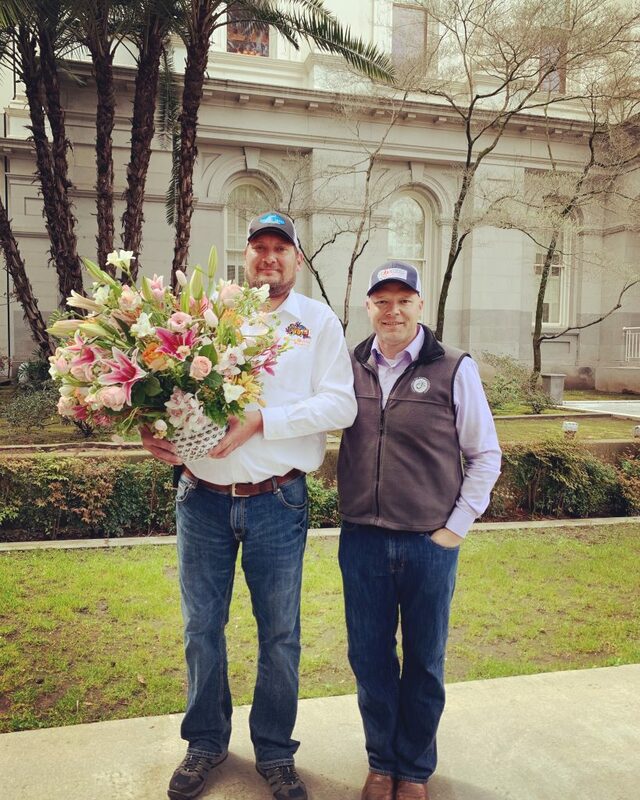 The California Cut Flower Commission (CCFC) and the California State Floral Association (CSFA) teamed up to make a special delivery of California Grown flowers to Gov. Gavin Newsom on “Ag Day,” March 20. Ben Dobbe of Holland America Flowers and CCFC CEO and Ambassador, Kasey Cronquist, made the special delivery to Gov. Newsom. The delivery of the arrangement was a friendly (and beautiful) reminder to the governor of the importance of California flower and greens farmers to the state’s economy and their local communities. California Agriculture Day is hosted in partnership with California Women for Agriculture and the California Foundation for Agriculture in the Classroom. This an annual celebration recognizes California’s agricultural community by showcasing the bounty of crops and commodities produced in the state. It’s also a day for farmers and ranchers to rally awareness and celebrate California’s agriculture with state legislators, government leaders and the public. 2019 marked the centennial celebration of the event! 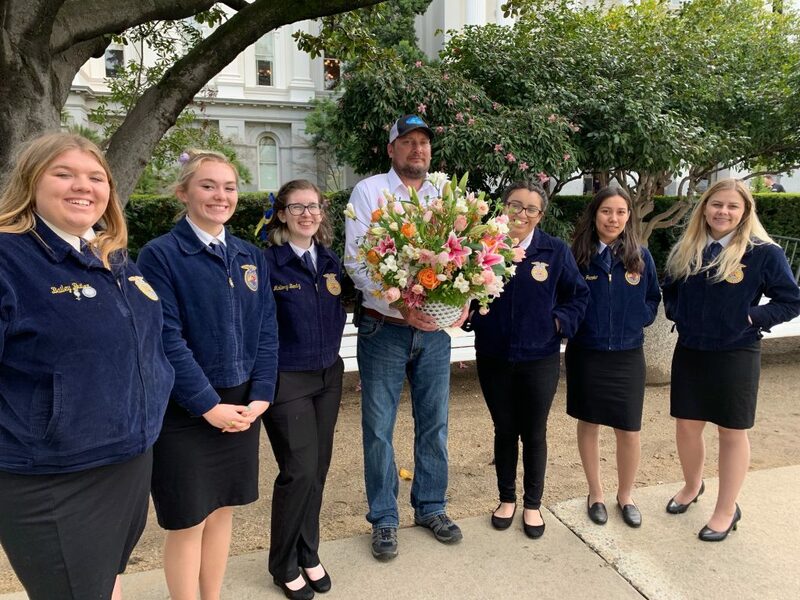 FFA Students helped pass out California Grown bouquets to people gathered on the Capitol lawn. Sacramento flower wholesaler Flora Fresh anchored the event and also helped lead FFA teams in providing California Grown bouquets to those gathered on the Capitol lawn for the event. In addition to the flower delivery, CCFC and CSFA joined forces to hand out postcards touting the economic and employment benefits California Grown Flowers bring to the state. Special thanks to Holland America Flowers, Mellano & Company, Pyramid Flowers and Westland Floral for generously providing the flowers and greens for all of the bouquets.